Why Choose Security Screens over the Regular Flyscreens? If you live in a warm and humid climate, you well know how endemic, flies, bees, mosquitoes and other biting insects are. During the summer season, these pests tend to populate faster, entering your home and threatening your health and safety. This is why installing flyscreens has literally become a necessity. By having flyscreens installed on your windows, you can protect yourself and your family from insect bites. Just take a look at the infographics below to learn how mosquitoes can damage your health and how deadly they can be. Flies and mosquitoes are typically drawn to house lights. Even when you are asleep and all the lights are out, these insects can still find you by sensing your carbon dioxide. As illustrated in the infographics above, mosquitoes are intent on feeding. So, if a mosquito senses that you are behind the screen, they will keep buzzing by, searching for a hole where they can enter. Regular flyscreens can easily be damaged and even a child can puncture a hole through it by piercing it with something as simple as a pencil. Damaged screens mean opportunities for the mosquitoes et al to invade and suddenly they provide absolutely no protection whatsoever. On the other hand, when you opt for a security flyscreen by Rockingham Home Security, you can rest assured that it will be durable. Rockingham Home Security offers security screens that have passed impact tests to Australian Standards. This means that they are strong enough to withstand a certain degree of force. One would have to possess and use sophisticated equipment or tools before they can damage or penetrate our security flyscreens. In comparison to security screens, regular flyscreens are more difficult to clean due to their soft, fragile nature. If you try to dust a traditional screen using a brush, you can stretch the gauze and loosen the rubber borders. This means that just by cleaning the flyscreen, you are weakening and potentially damaging it. In contrast, Rockingham Home Security screens are easy to clean. When you hire Rockingham Home Security to install flyscreens you get to choose from a wide selection of reliable security screens. For instance, our Clearshield security screens have a smooth Perforated Stainless Steel surface, that makes cleaning them a breeze. Picture this: Your toddler somehow managed to climb up the opened window and banged against your fragile, traditional flyscreen. When you have regular flyscreens installed on your windows, you have to know that they won’t be able to withstand horizontal pressure. In this scenario, an awful accident could ensue. As we’ve mentioned, Rockingham Home Security screens have passed impact tests. This means that your toddler won’t be able to knock the screen off the frame no matter how strongly they might try and force it. There are plenty of stories of unfortunate home burglaries that might have been completely avoided had proper security been considered and installed. Burglars and home invaders will often gain entry simply by pushing the flyscreen in or slicing at the mesh with a pocket knife. The problem with traditional flyscreens is the fact that they give a false sense of security. Just because you installed a flyscreen, it does not mean that your house is not vulnerable to break-ins. Here at Rockingham Home Security, we offer Clearshield Stainless Steel security screens that have passed knife shear tests to Australian Standards. 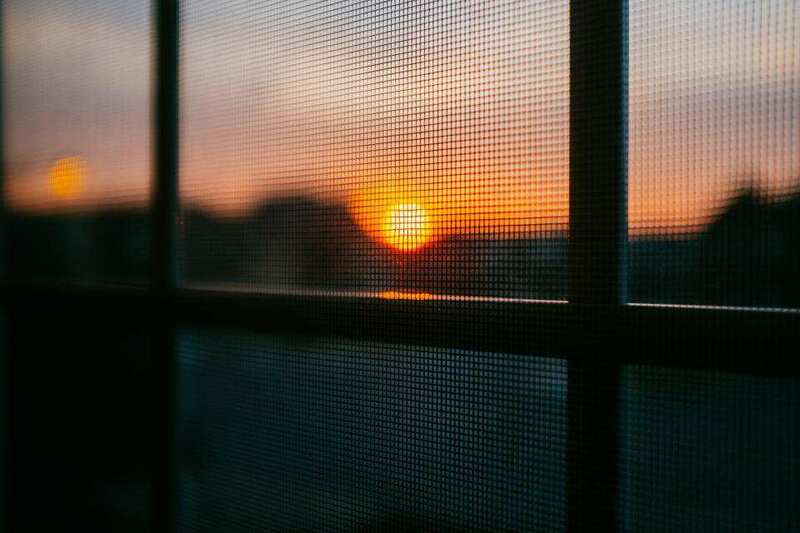 Aside from keeping the insects and pests out, our security screens are designed to keep thieves and other home invaders out too. Most prospective property buyers see value in the security features of any home. Buyers typically look for houses that are protected by a list of safety features. Regular flyscreens do not typically make that list. Combine your security screens with alarm systems and security doors and you can lower your contents insurance premium. Insurance companies love well secured homes – for obvious reasons. When you engage Rockingham Home Security, you’ll be presented with our full selection of reliable security screens, including face-fit, pocket fit, sliding, removable and non-standard colour flyscreens. With all our quality security products, you can keep mosquitoes and fatal diseases out and at the same time be protected against burglary and home invasion.